If you are anything like me I had no clue about crate training a dog. I suppose we just did it the hard way didn’t we. Now that all this information is available we have no excuse for ever doing it wrong again. It seems that confining a puppy or larger dog in need to potty training to a crate is not a punishment. It is the quickest and safest way to convince puppy that he or she needs to listen up when thinking about and learning how and where to do their business. The proper size dog crate can make your pet a happy pet. As training progresses your pet will voluntarily select the crate as a familiar and comfortable place to relax as he or she keeps an eye on happenings around the house. Here is information about the how’s and why’s. Later posts will go more in depth bring you details on crate training a dog from various experts in the field. Crates aren’t just for puppies anymore! Just because a dog is into adolescence, doesn’t mean they don’t need to have a safe place to be when you are away. Crate training is usually associated with housebreaking and then the crate goes out in the garage sale. Maybe you don’t need it after the first few months; however, your dog may not be trustworthy until they are two years old. Don’t think of confining your dog to a crate or kennel as cruel. Think of it as their safe place. The place where they take naps while you are away or having guests for dinner. If you have an adult dog who has never been in a crate, they can still adapt. Dogs are den creatures. Usually, they can be trained to enter the crate if you place their bed in it, throw in a dog biscuit as you say “crate” or “bed,” and close the door for a brief period of time so they get used to it. 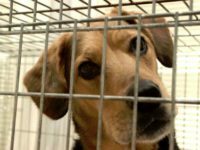 Crating can be a life saver when bringing home a shelter dog. Until you know if they are housebroken or in a destructive mode, crating allows you both to relax as everyone adapts. If you are going away and need to board your dog or have them ride along in the car, prior crate training will be invaluable. If you need additional specifics on crate training, please let me know in the box to the right. Information for this post was supplied from the Diva Dog Training blog. The more I read the more reasons I find for using dog crates or dog cages to enhance the quality of your pet’s life and your quality of life as well. Since most dog crates are available with the adjustable partition, your pet can use the same pet crate for quite some time. Many dog crates or pet cages have 3 doors for accessibility. All sorts of items are available to assist you and your special friend through difficult times. http://www.mypinkpetcarrier.com brings you the quality and pricing you require when searching for the proper dog crate or pet carrier. Thanks for that additional input Matt. That is so true. Dogs can get into most anything when owner is away and dogs get bored. And, they will, some will, swallow anything they can get down their throats. Appreciate your very helpful comment. Crate training your dog isn’t just about possessions being destroyed. Many dogs might hurt or kill themselves by eating the wrong thing when left out. Crate training your dog is part of an overall training program to raise a well rounded pet. Great article. Many experts consider Dogs to be “cave animals” and are happiest when they are in the protection of their little piece of property so to speak. It sometimes is the owner who needs more training in this area then the dog. Appreciate your comment. To each their own I suppose. It’s what makes the world turn. I know what you me about listening to the puppies crying or yelping. We just have to remember that it’s a temporary situation. Thanks so much for your comment. A great testimonial for crate training. Appreciate you sharing that with the visitors. I swear by crate training my pets- i’ve had 5 dogs over my lifetime, and it worked for all of them. A tip I have for crate trainers- I lined their crates with puppy pads over their blankets- it was convenient if they had an accident so their blankets weren’t soiled, and I wasn’t doing laundry all the time. This is a great article. I’ve never had a lot of luck with crate training myself, cause I can’t bear to listen to the little guys cry. I guess I just train myself to pick up their signals. Most of my puppies were really well trained in less than a month. It takes consistency. Thanks for a great pet blog with down home ideas and tips.